To learn/improve our ropework and glacier travel skills, three of us headed down to Capel Curig for a two day Alpine Preparation course run at the National Mountain Sports Centre. 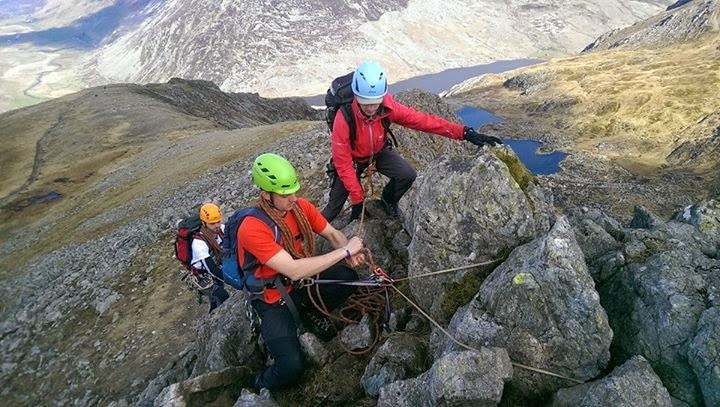 Our instructor for the two day course was a British Mountain Guide called Owen. The course served a dual purpose for me, on one hand I'm going out to the Himalaya later this year to conduct research on the Khumbu Glacier, on the other I'm heading out to the Alps with some friends this summer for a spot of mountaineering. 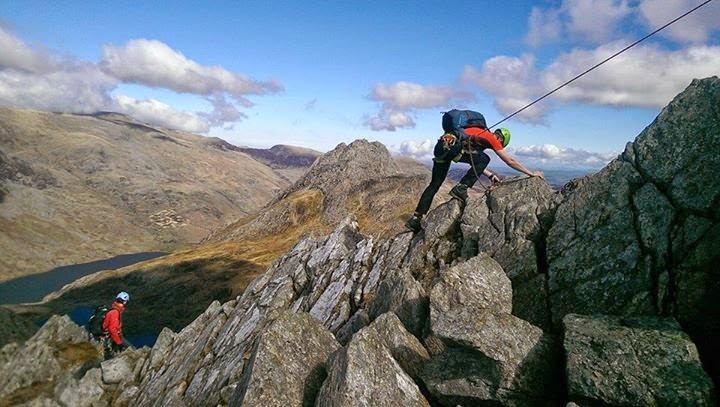 As a UK Mountain Leader and climbing instructor my ropework skills are generally pretty good, but I don't have any Alpine experience so there was plenty to learn over the two days. The first day focused on glacier techniques, starting with a short classroom lesson on Alpine kit and hazards. 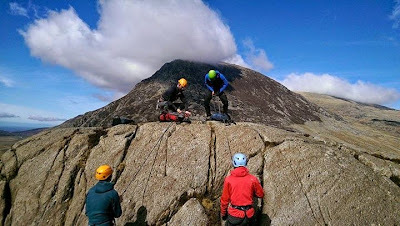 For the rest of the day we headed out into the National Park to practice ropework techniques, including simulating glacier travel on the grassy slopes of Llyn Idwal and practicing abseiling. We also took turns to conduct 'crevasse' rescues to on our buddies, in this case our simulated crevasse was a small rock outcrop. The second day focused on ropework techniques for travel over rocky Alpine terrain and taught us how to protect ourselves whilst moving efficiently over scrambling territory - Y Gribin ridge was our training venue and the weather was equally glorious. Back at base we finished with some map work, tips when using guidebooks, and recommended route choices for our first alpine adventure. Our guide was brilliant and I'd definitely recommend the course as an introduction to Alpine techniques.